Home / Ex-Wizards / Caron Butler / NBA Photoshop – Washington Wizards Style – VOTE 4 NACHO! NBA Photoshop – Washington Wizards Style – VOTE 4 NACHO! The campaign has officially begun. 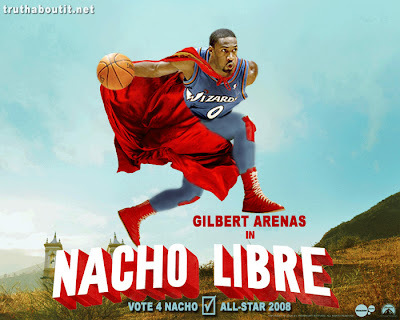 We first heard about Gilbert Arenas serving chips & dip on his Agent Zero blog….guess that since Brendan Haywood came up with “Hibachi”, Gil, being the marketer that he is, decided to coin a new name on his own: NACHOOOO! Ok, I know you have a lot of campaigns to keep up with. There’s the Bullets Forever Nick Young Dunk Campaign, which actually originated with Mr. Irrelevant. I don’t see why you can’t get behind that issue, the more Wizards at the NBA All-Star game in the NOLA, the better. Speaking of…..people really need to get behind a ‘Tuff Juice 4 All-Star movement. 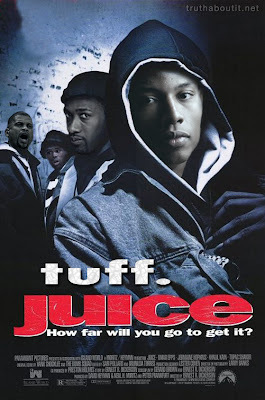 In case you are outside of the DC area, or just don’t know any better, “Tuff Juice” is the nickname for Caron Butler. Thank you Lakers!! If you like these photoshop works, check out my previous NBA Photoshop News Edition here.